Computers have been a significant part of the average student's education since the early 1980s. Although computer technology has become much more pervasive since then, people often wonder why we need to learn computer use in school. Some studies show that those who learn on a computer perform better academically than their peers. Jobs of the future will demand computer literacy from just about every individual. Up until the mid-1980s computer use in education was relatively rare and only reserved for administrative duties or advanced research in universities. It also took many people to work large, mainframe computers, which conflicts with the single-teacher model. By 1984 the development of personal computers such as the Apple II allowed individual teachers to use computers as a learning aid. A 1994 analysis of computer technology in schools showed that those who learned with computers showed above-average results on standardized achievement tests. Students often respond positively to computers, which can conform to the needs of the student. The study also found that computers streamline the education process. 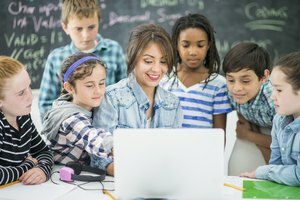 Students learning on a computer take less time to learn material than students with teacher instruction only. The Internet offers information on just about any topic at the tip of a person's fingers. Instead of thumbing through dozens of books to find information, students can refine searches and access information in seconds. Students can also receive more opinions on topics without having to rely on the closest sources of information. The need for computer scientists and computer engineers looks to skyrocket in the 21st century. The Bureau of Labor Statistics predicts that these two occupations alone will grow 37 percent from 2006 to 2016. Yet the necessity of computer training goes beyond computer-based professions. Most businesses require employees to type reports on a computer and use spreadsheets to keep track of information. Finding a job without computer skills will be near impossible in the future. While computer knowledge will soon be essential for education, some fear that computers will replace teachers. Computers could eliminate teaching models and "automate" the education process. 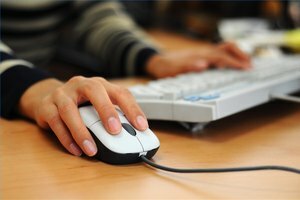 Computers cannot yet grade a student properly and only give right or wrong responses. A teacher can understand what a student was trying to do when answering a question incorrectly. Online classes remove the social interactions of a classroom, and many find digital books a strain to read. Can a Laptop Computer Work Just Off an AC Adapter? Huebsch, Russell. "Importance of Computer Education to Students." Synonym, https://classroom.synonym.com/importance-of-computer-education-to-students-12222338.html. 29 September 2017.